Turley has a proven track record of delivering projects in the North West and beyond in both jurisdictions. 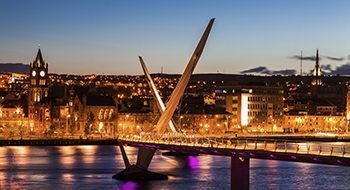 Now with a strong presence on the ground in the City of Derry we are better placed than ever to support the ambitions of our growing client base. We are passionate about this place and cherish our relationships with public and private sector partners. From transformative regeneration and masterplanning to retail planning and environmental assessment, we have the depth and breadth of experience to offer a full range of planning services.